BODICE STYLES - Fearless Glamour's special modular system allows you to select any gown bodice and place it with ANY skirt! 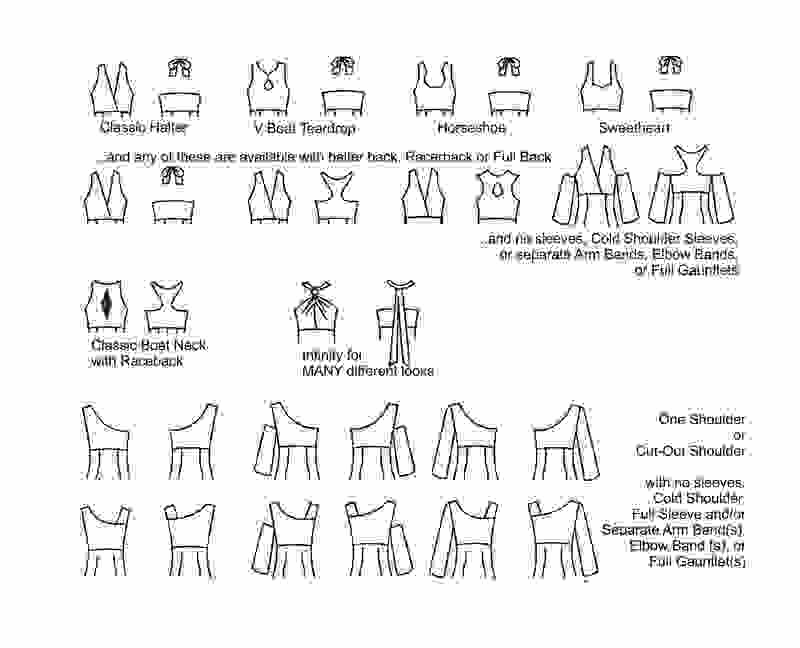 Select your favorite bodice ideas, sleeve treatments, then select a skirt or two, and contact saqra@saqra.net or message Saqra Raybuck on Facebook for a custom drawing based on your selections! Once we have done initial drawings we can discuss rhinestone application (to velvets) or cutouts! No cost or obligation to see your ideas in drawing form. 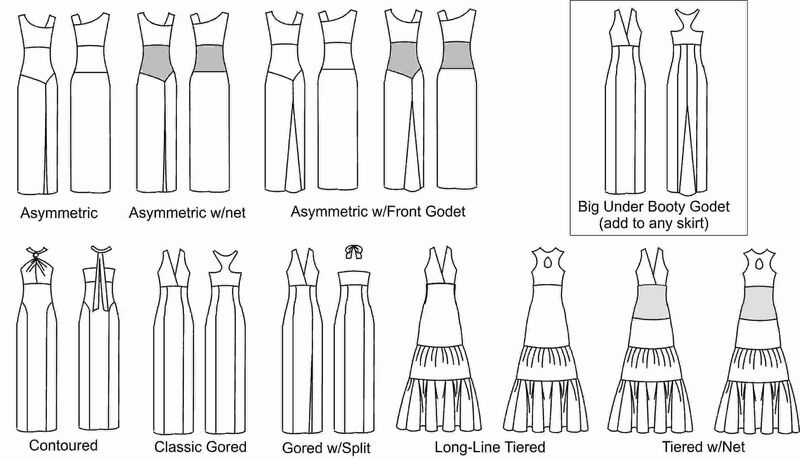 SKIRT SELECTION - Your skirt and fabric selections determine the price of the dress, so it takes out the guesswork! And there is never an extra charge for plus size or extra tall costuming! Copyright (c) 2018 Fearless Glamour. All rights reserved.